reunited in maine — ...and we're off! Carla, Rachel and I hopped in the car early Friday morning and got involved in the NYC rush hour. We were headed up to Rockland, Maine for a family reunion on my dad's side. This would be my first time meeting my dad's 1st cousins since I was about 5 years old, so I was looking forward to it. Our day and a half in New York was relaxing -- we spent time meeting up with friends and generally being day people. New York still feels very much like home. Our first stop on the way up to Maine was a quick lunch with Carla's Aunt Chit and Uncle Joe (and their singing dog, Tiny) in coastal New Hampshire. 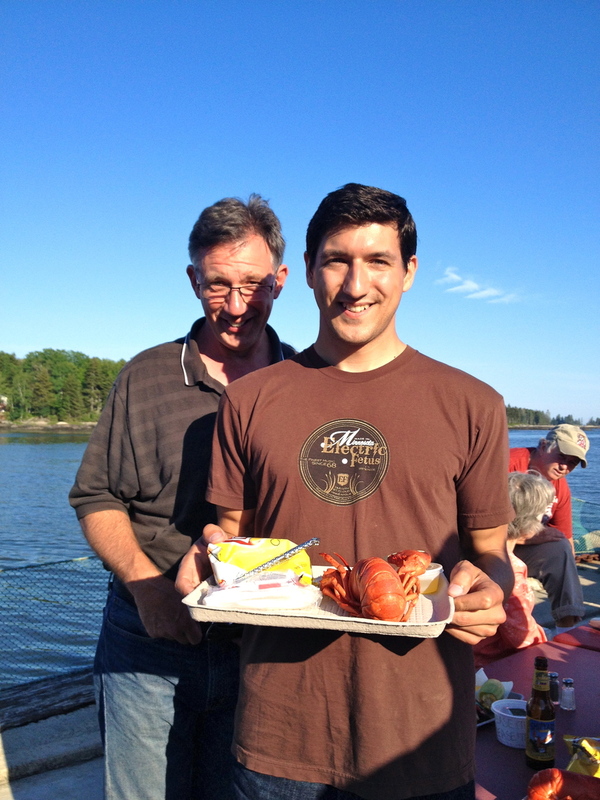 We arrived at Penobscot Bay just in in time for a group lobster feast right on the water. I met all of the extended family for the first time and enjoyed getting to know them throughout the long weekend. The next morning we woke up to fresh air coming off the bay and caught the early ferry to the island of Vinalhaven. This is a foggy, hilly island about an hour's ferry ride off the mainland where my dad's cousin Audrey is the postmaster. It is a beautiful, isolated place with a permanent population of about 1,300 and a summer population of over 4,000. 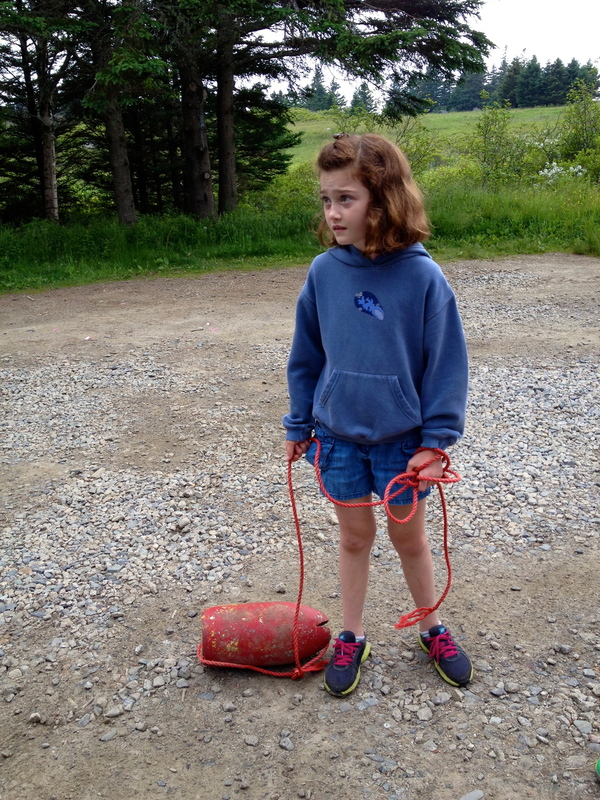 The waters around the island are thick with lobster buoys. The rest of the weekend was spent hopping from picturesque scene to scene, checking out their under-construction house (which Audrey's husband Sky is building himself -- no helpers allowed) and watching the more pain-tolerant of our group swim in the frigid water. Carla and I struck off northward on Monday for Acadia National Park. We pitched a tent in the Seawall Campground and, after roasting some marshmallows for s'mores, fell asleep to the faint sound of the waves. Acadia is an interesting national park because it is made up of a patchwork of land donated by the Rockefellers and others on Mount Desert Island. Much of the island is still private and there are quite a few small towns as you drive through the park. We woke up the next morning and took in the view from Cadillac Mountain, which is pretty unique. We did some hiking and drove the rest of the park, then kept moving northward toward Canada. 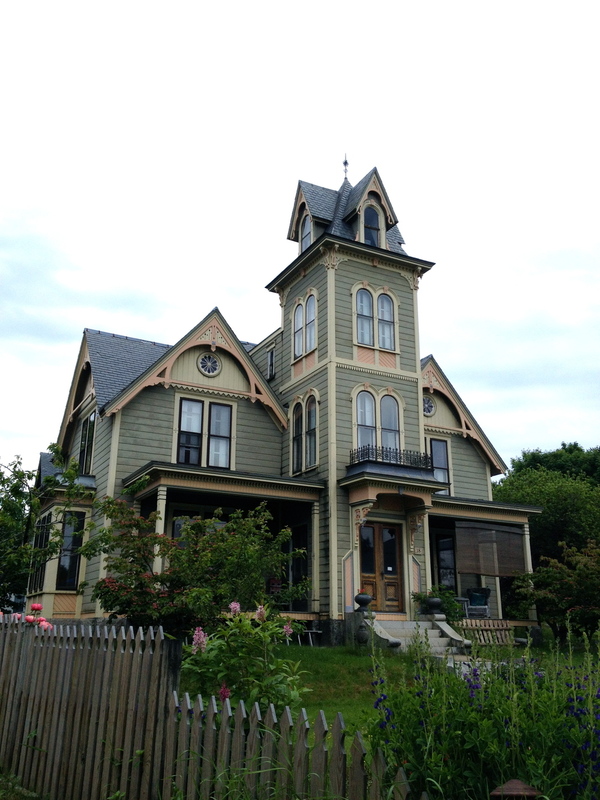 We spent our last night in Maine in a low-ceilinged motel in a desolate, somewhat creepy town called Machias. We woke up unmurdered the next morning and bolted for the border.